Chileans & the UK Gov. The Scottish press always interested in our stories. 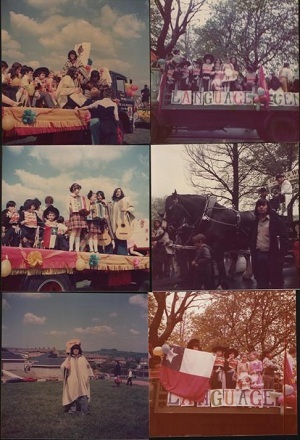 We know that immediately after the coup on the 11th of September of 1973, Chilean Solidarity Committees began to form in different cities of the UK and of course, in Scotland: Glasgow, Edinburgh, Stirling, Dundee and Falkirk. These committees came about in order to denounce in Scotland the atrocities taken place in our country at the hand of the Pinochet’s regime. 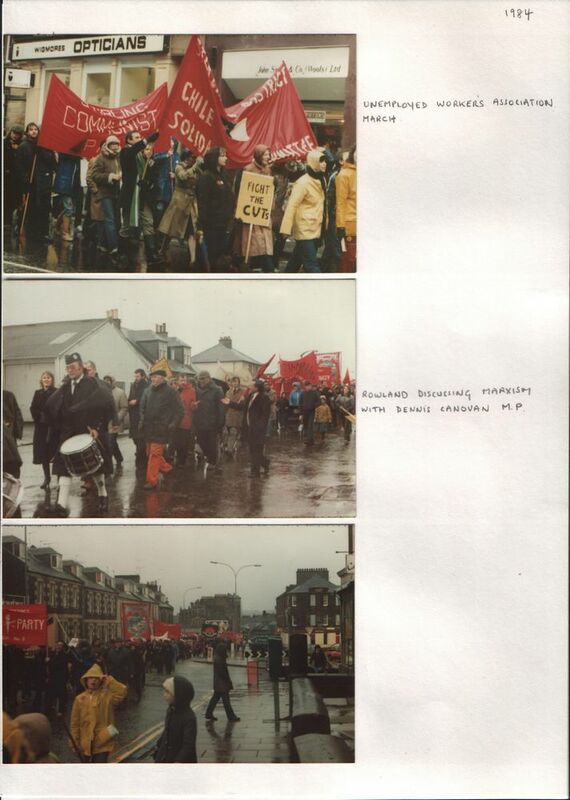 These committees were also formed to mobilise solidarity with our country in the context of Scotland and the UK. 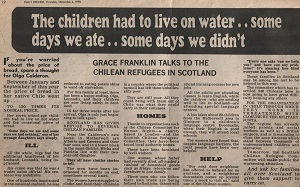 Very importantly, they were formed to help Chileans refugees coming to Scotland and to help them to integrate into British society: organising for them classes of English, helping them to find accommodations, helping them to find jobs, taken them to social security and counselling session and helping them with translations as very few Chileans spoke English etc. However, in a report written by Grace Livingstone of the Guardian ( 11th of Sep, 2013)" Intelligence officers were sent to infiltrate the Chile Solidarity Campaign, a movement backed by Labour MPs, trade unions, students and church groups. The secret service reports, declassified earlier this year, can now be seen at the National Archives in Kew. Journalists were another Foreign Office target. Complaining of "black propaganda against the Chilean armed services", British officials tried to manipulate the news. 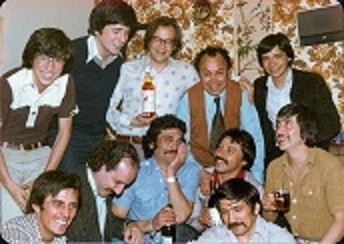 When a team from the BBC Panorama programme visited Chile in November 1973, staff at the British embassy secured them "maximum co-operation from the junta"". Why all of This? The British Government at the time were worried that the Chilean Solidarity Campaign was going to ruin the lucrative business of selling arms to Chile. 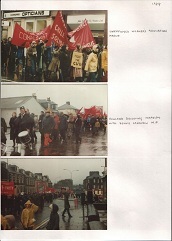 Were these Solidarity committees successful? Yes!- despite I was able to witness it! I saw the good work in Glasgow, Edinburgh, Stirling( Falkirk), Dundee and everywhere. 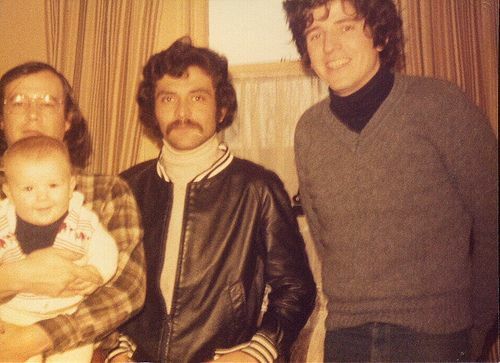 Thirty seven years later, I was able to see that a good number of British activist involved in the Solidarity movement with Chile in the 1970s and 1980s are now fully involved in the politics of this country. This is a very positive thing coming out of the Chilean experience in Britain. 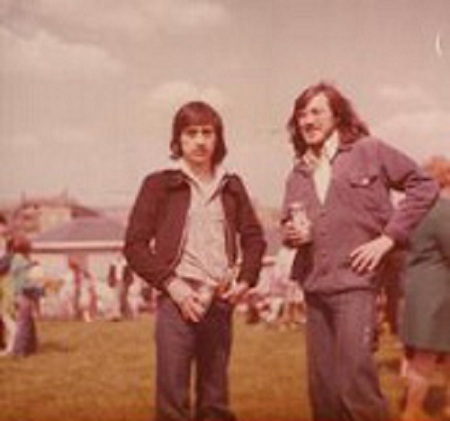 It is said that the former Labour Prime Minister, Gordon Brown, was involved, during his student years in the Solidarity Campaign for Chile at Edinburgh University. 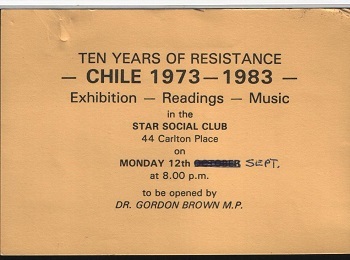 I know of one activity about Chile where Gordon was involved. The Scottish singer Arthur Johnstone and I provided the music for the below programme. 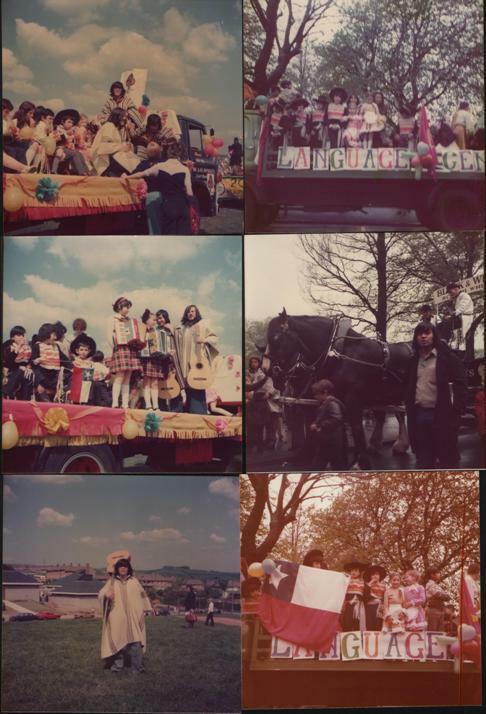 I could also witnessed our own communities of Chileans in Scotland working very hard, despite all the odds and the drama, to maintain our political commitment with our country. 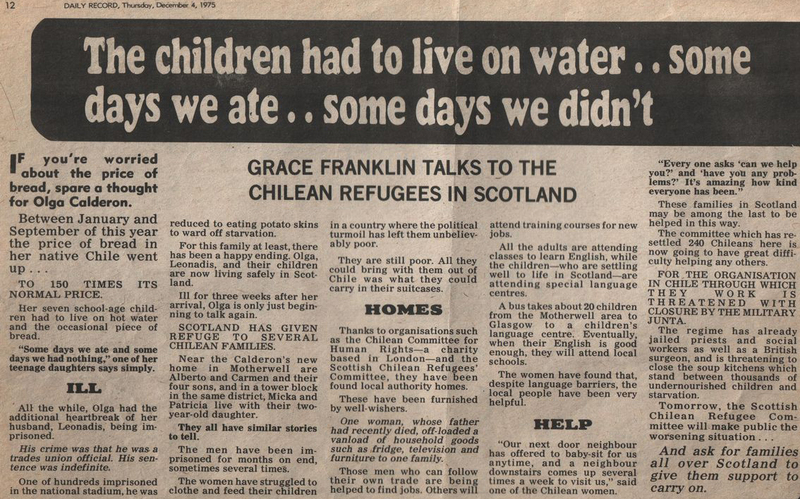 These pages about Chilean refugees try to show exactly that. 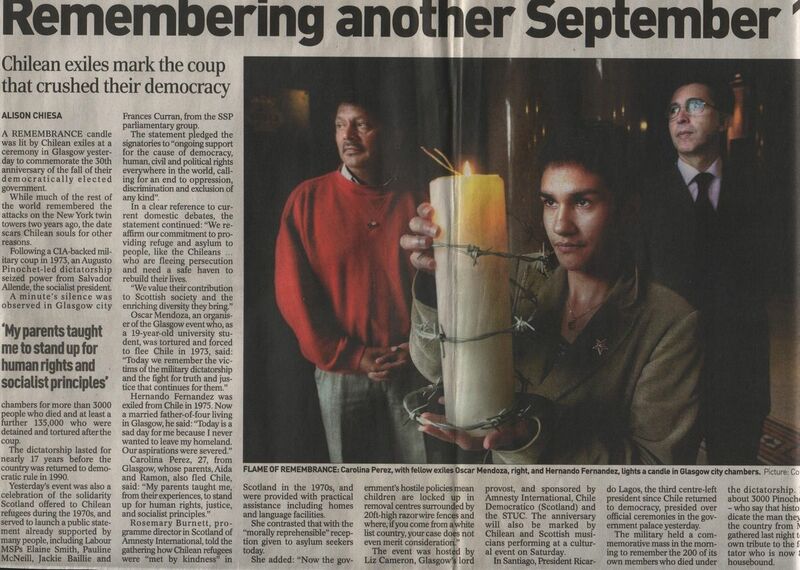 We worked hand by hand with the Chilean Solidarity Committees in Scotland. 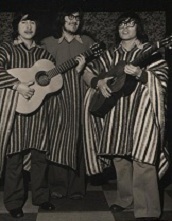 Many Chileans came to Scotland via Peru but others came from Chile and Argentina. 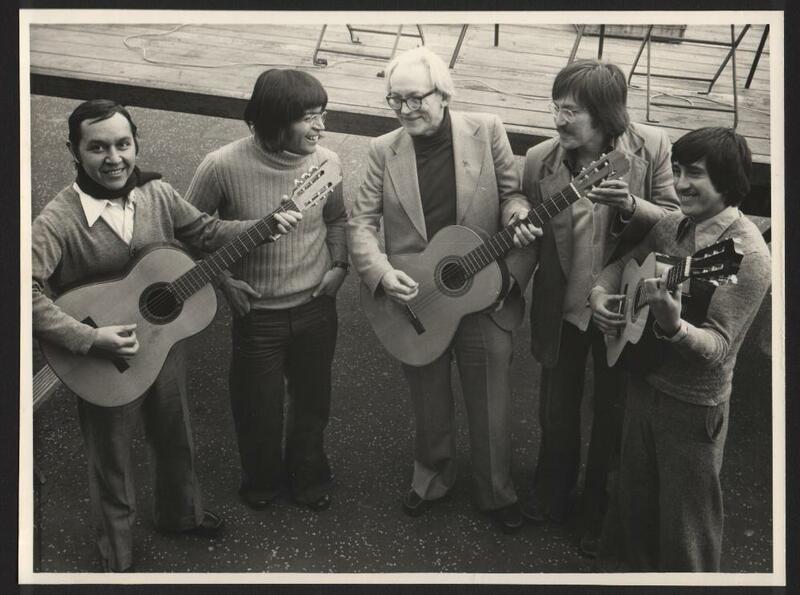 There was one Chilean man, Manuel Lopez, who came to Scotland via Russia. It was, however, the generosity of the hundred of people working on the Chile Solidarity Campaign in the UK who took care of all of us once we arrived in Britain. 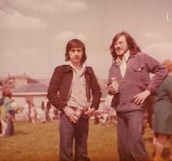 The most important organization helping us all was the London based Join Working Group (JWG) and the World University Service (WUS) set up to help those refugees with academic backgroud. 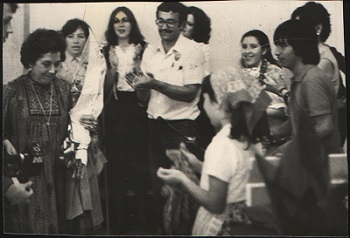 The Papers of the Chile Solidarity Campaign were donated to the People's History Museum (formerly National Museum of Labour History) in 1991. 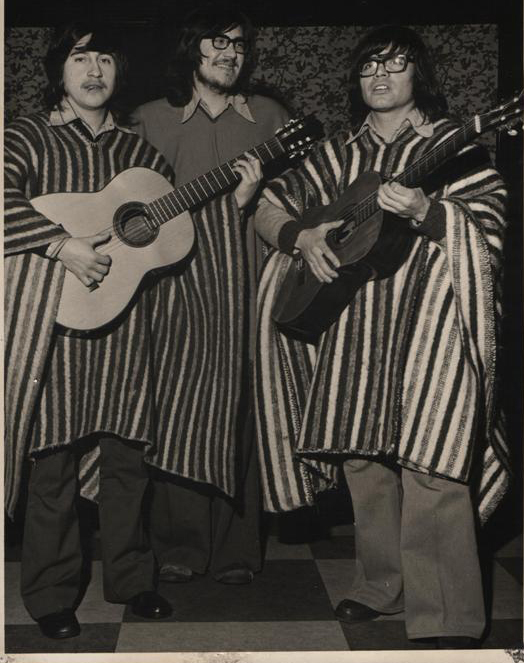 1976 - Chilean cultural activity in Edinburgh. I was invited to play in this event.